NEWS:Jan, 2019. 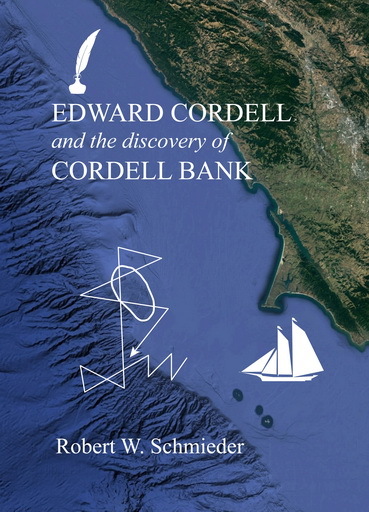 The long-awaited biography of Edward Cordell is finally published! Originally written by Bob in 1990, it lay for almost 30 years awaiting a publisher. About a year ago, Springer Nature agreed to publish it, and after major updating, the book is about to be released. It is a serious biography, 383 pages long, and it includes everything that is known about Cordell, from his birth in Germany in 1828 to his untimely death in San Francisco in 1870. It will be a valuable reference work not only for the man, but also for the role of the U.S. Coast Survey in the mid-19th Century. NEWS:December, 2018. Through the courtesy of Dave Lloyd, colleague and fellow Heard Island expeition member, we obtained a sample of marine sediment from Ducie Island, one of the four Pitrcairn Islands. Daved led a DXpedition there using the callsign VP6D, and kindly secured a sample of the sediment. 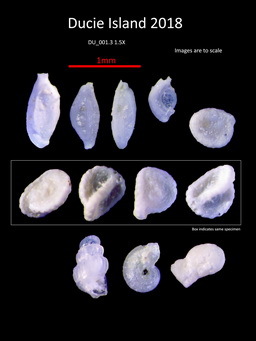 Upon examination in the laboratory, it was found to be very rich in foraminifera (about 50 species have been identified so far). 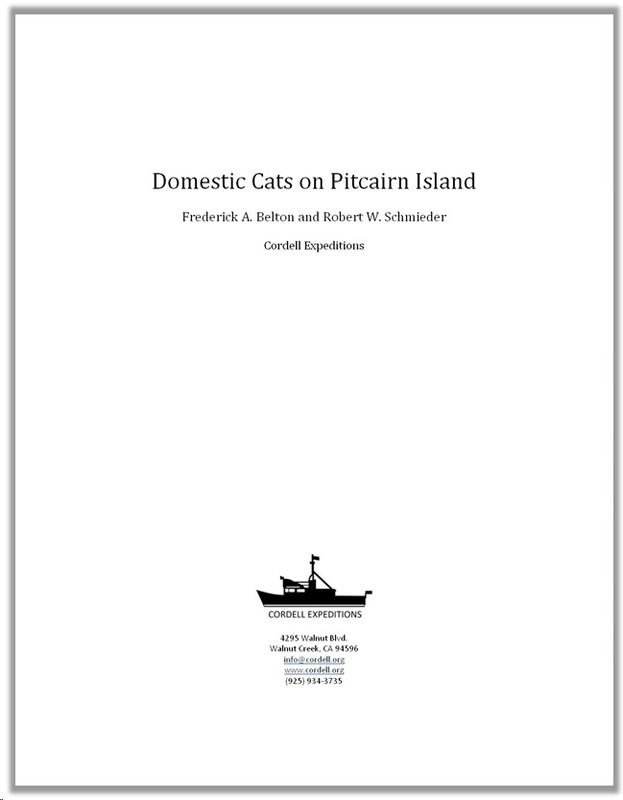 This is the first record of forams from Ducie; it provides a significant addition to the understanding of the microfauna of the Pitcairn Islands. NEWS:July, 2018. 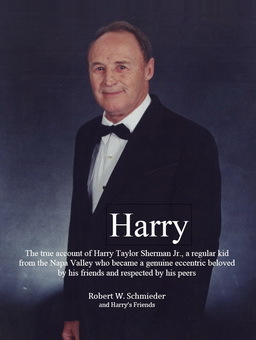 A biography of Harry Sherman, longtime member of Cordell Expeditions, was written by Bob Schmieder and published as a small edition. The 188-page book is "A true account of Harry Taylor Sherman, a regular kids from the Napa Valley who became a genuine eccentric beloved by his friends and respected by his peers.Harry passed awa y in 2014. The book includes a genealogical chart covering 8 generations, hundreds of color photos covering all of Herry's activities, and details about his death, the Celebration of Life, and his Last Voyage on the last cruise of the Cordell Explorer. You can download a Word or PDF copy, and other materials, from www.cordell.org/HTS. NEWS:June, 2018. 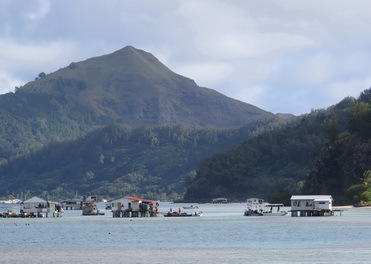 Bob and Fred spent a week in the Gambier Islands group, mostly on Mangareva Island. They carried out projects to document the feral cats and to make collections of foraminifera. This was the first record of forams in the Gambiers; Bob has found upwards of 50 species. 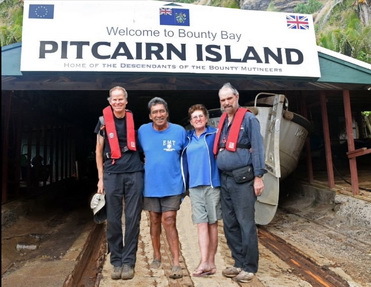 NEWS: Frted Belton (left) and Bob Schmieder (right) carried out an expedition to Pitcairn Island in May, 2018. They worked on two projects: documentation of feral cats and the first identification of foraminifera (microscopic one-celled marine animals). They are completing publications on both projects. NEWS:November 2017. 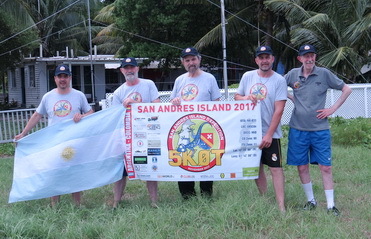 Bob joined an Argentinian DXpeditiin to San Andress Island, part of Colombia. Bob's participatioin was specifically to implement his proprietary software DXA, which enables radio amateurs to receive confirmation of their contacts within 1 minute of making them. The project was successful in every way. NEWS:Spring 2016. 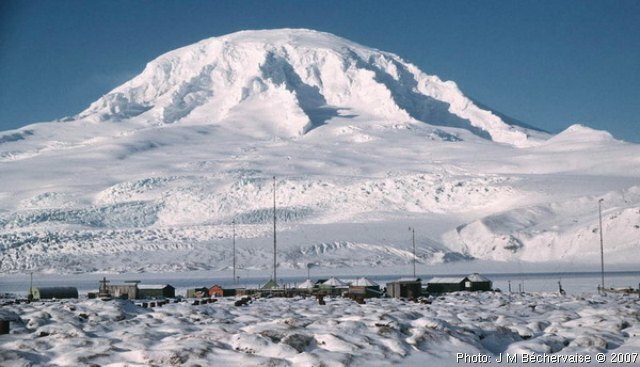 Cordell Expeditions successfully carried out the expedition to Heard Island, completing extensive scientific research and logging more than 60,000 amateur radio calls. NEWS: 7 June 2014. 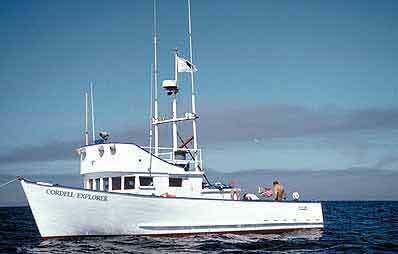 The expedition vessel, Cordell Explorer, has been retired and sold. We thank everyone who worked on her, as crew, teachers, students, and contractors. For 28 years she was a major component in the innovative programs developed by the Shorebird Nature Center (Berkeley) and Diablo Valley College. 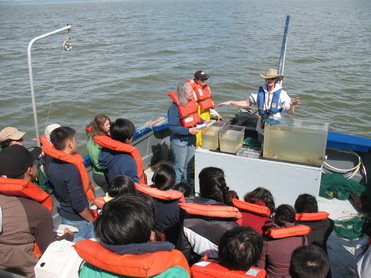 More than 5000 students got their first experience with exploring the Bay and rivers, including the water, the mud on the bottom, and the creatures that inhabit the air over the water. The program was ended when the Coast Guard would not renew the designation as Research Vessel, thereby ending its service to school groups and research organizations such as the California Academy of Sciences. While we are sad that the vessel operation was terminated, we can say we had a great run, and thousands of students will carry their experience forward. Perhaps we played a small role in helping save the world! NEWS: June 2013. THE OAKLAND MUSEUM has opened a new permanent exhibit on Cordell Bank. 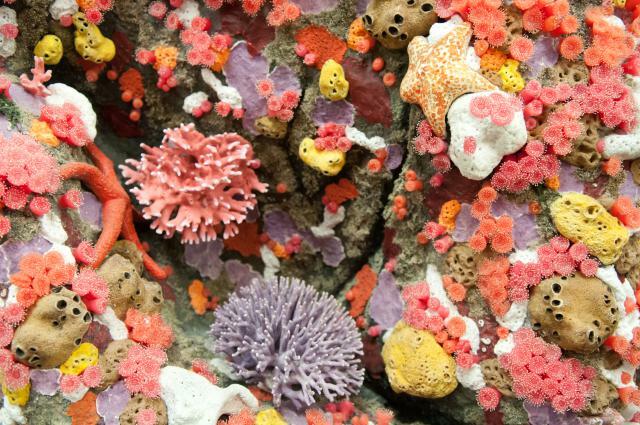 It is the largest and most externsive of a group of exhibits on California environments. The displays are extraordinary, and well worth a journey to see. The picture above is of a diorama at the museum; it is indistinguishable from the actual community on the Bank. For more information about the museum, click here. NEWS: Feb-Mar 2013. Cordell Expeditions successfully carried out a major DXpedition to Clipperton Island, 800 miles south fo Cabo San Lucas, Baja California. The expedition was a multi-disciplinary project involving amateur radio and environmental science. The team consisted of 24 radio amateurs and 5 scientists/journalists. It took place during 18 Feb - 18 March 2013.The radio team logged 113,601 contacts, and the science team made several discoveries. The project was carried out on time, below budget, with no casualties. 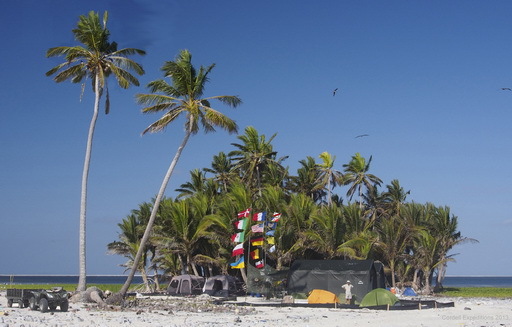 No damage was done to the island or wildlife; the campsite was left cleaner than before the expedition. 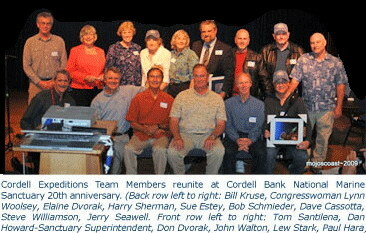 NEWS: CORDELL BANK ANNUAL REUNION. 9 Oct. 2011. 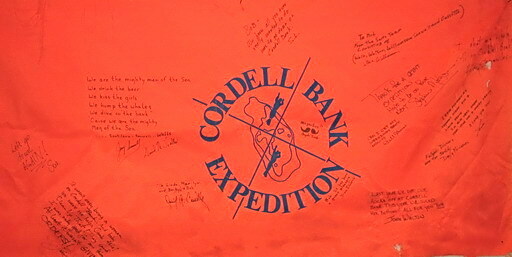 Members of the Cordell Bank Expeditions gathered for the annual reunion. Click on the flag above (which was flown during some of the expeditions) for pictures. NEWS: Oct. 2010. The Cordell Bank National Marine Sanctuary fielded scuba divers for the first time. Some members of Cordell Expeditions were onboard, and the results were breathtaking! Click here!. KGO Ch. 7 did a news story. 2010. 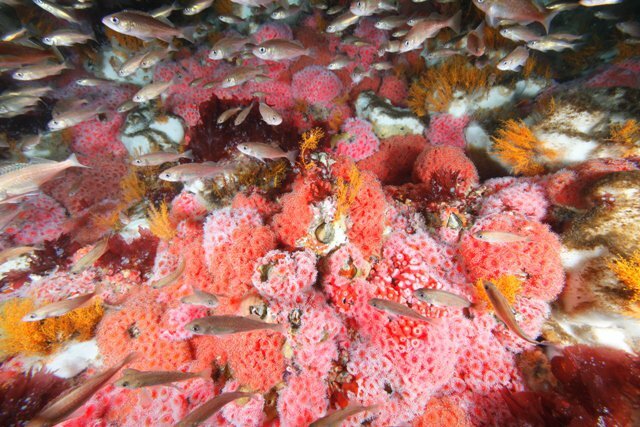 The Cordell Bank National Marine Sanctuary has been compiling an oral history of the original exploration of Cordell Bank by Cordell Expeditions. Click here! 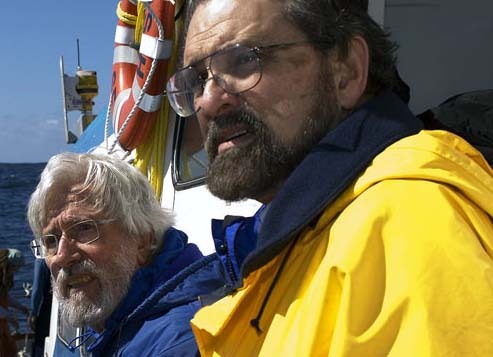 2006: Jean-Michel Cousteau and Dr. Robert Schmieder discuss strategy during a diving expedition to Cordell Bank in 2006. Cousteau produced a video and large-frmat book titled America's Underwater Treasures. Click here for more information. Sept-Oct 2005. Cordell Expeditions carried out a multidisciplinery expedition to Kure Atoll, last emerged island in the Haiwaiian chain. 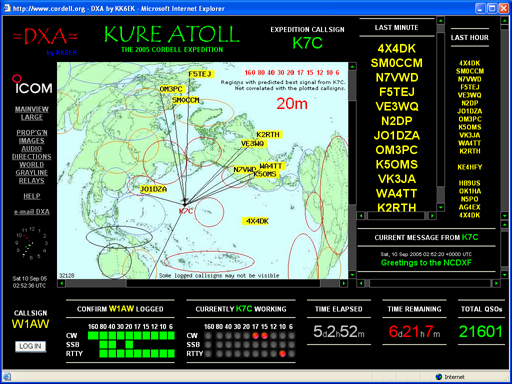 The goals were (1) Conduct amateur radio operations using the callsign K7C; (2) Implement the advanced real-time internet-based communications system (DXA); and (3) Carry out activites in support of the wildlife sanctuary and facilities on Kure. All these goals were achieved. Click here! 2004. Robert Schmieder, Director and Expedition Leader of Cordell Expeditions, has developed an innovative system for real-time reporting of amateur radio contacts with a remote location. The system, called DXA, makes use of a satellite data link and a dynamic website containing a database. After its first (successful) use on the Kure expedition, it was used on numerous DXpeditions, including those to Clipperton Island (2013), Heard Island (2016), San Andres Island (2017), and Ducie Island (2018). Spring 2003. 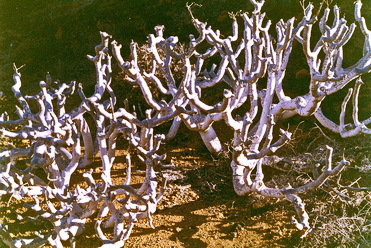 During the 2002 expedition to San Felix, the team discovered a large stand of an exceedingly rare plant, Thamnoseris, which is endemic to the local island group. Now, Dr. Bruce Baldwin of the University of California, Berkeley, has carried out a DNA analysis on the specimens, and resolved a long-standing disagreement among botanists concerning the taxonomic position of the plant. This fresuult also provides a direct link between the floras of the Juan Fernandez Islands and the Desventuradas Islands. March 2002. 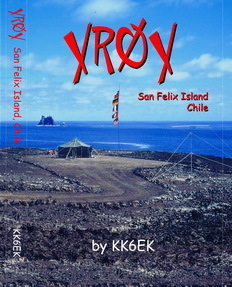 Cordell Expeditions carried out a multi-disciplinary DXpedition to San Felix Island, Chile. The project was supported by the Chilean Navy, who provided transport. 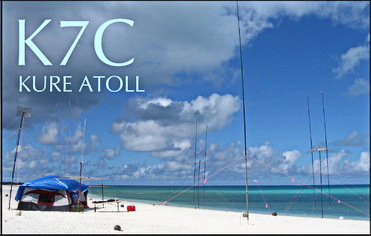 A total of 68,777 contacts were made with radio amateurs world, using the callsign XRØX. In addition, as collection of marine specimens was made, and a major discovery was made on the last day of the expedition (see next entry). Expedition Leader Bob wrote this book about the expedition.